Kingsthorne believes in giving all of our pupils a sporting start. We provide the children with high quality physical education and sporting opportunities through curriculum, coaching, out of school hours learning, lunchtime provision and competitions. At Kingsthorne Primary School we strive to offer the best physical education and school sport opportunities for our pupils. Through sport we encourage the children to develop positive attitudes to themselves, to others and to the community. We aim to achieve this by having high expectations of all our pupils and continually encourage them to be independent, confident learners in physical education and encourage them to make the most of opportunities provided for them. All pupils take part in two hours of physical activity per week, but have opportunities to develop this and take part in lunchtime activities, after school and lunchtime clubs and inter house competitions. In addition to this, all children across Key Stage 2 are given the opportunity to attend a residential in the summer term. Here they are given the chance to take part in real hands on experiences and increase their independence and resilience. Greater knowledge and understanding of games play. Opportunities to express themselves creatively. To enjoy being physically active. To have personal achievement and increased self-esteem and confidence. To have opportunities to solve problems, think independently and make decisions. An environment of consideration and care for others. The contribution of all pupils is valued and valuable whatever their ability or attainment. An understanding of fair play and sportsmanship. Recognise that competition is natural, inevitable and a valuable life skill. Knowledge of safe practice and how to achieve this. We are a Partner school with Aston Villa and receive support from Aspire Sports as well as our own in house sports coach Miss Slater. These specialists work alongside our children and teachers to ensure that they receive high quality PE sessions every week. 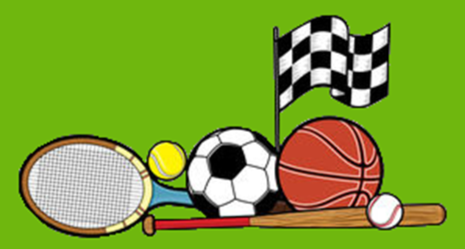 Our coaches also deliver a range of exciting clubs at lunchtimes and after school for our KS1 and KS2 children. Our children have taken part in a range of Sporting competitions this year through the School Sports Games and our partnership with Aston Villa. In the Autumn Term our Year 5 and 6’s took part in a hockey tournament, a football tournament at Villa Park and reached the local finals of an athletics tournament. Our Year 3’s and 4’s participated in a gymnastics tournament as well as joining an Aston Villa football league. Our Year 1’s and 2’s were also given the chance to take part in a multi-skills festival at Villa Park. In the Spring Term our Year 5’s and 6’s made it to the semi-final in a basketball competition involving over 20 other local schools. Our Year 3 and 4 children have continued to compete in the Villa football league. The Year 3 and 4 Tag Rugby Tournament has been postponed until next term. As always our children have represented the school fantastically, competing to their best ability and showing exemplary sportsmanship. This term each year group has taken part in an internal competition. Divided into their houses, the children have competed to earn points towards the house cup. This will culminate in the sports cup on sports day.